This toy is a love letter to vintage vinyl. 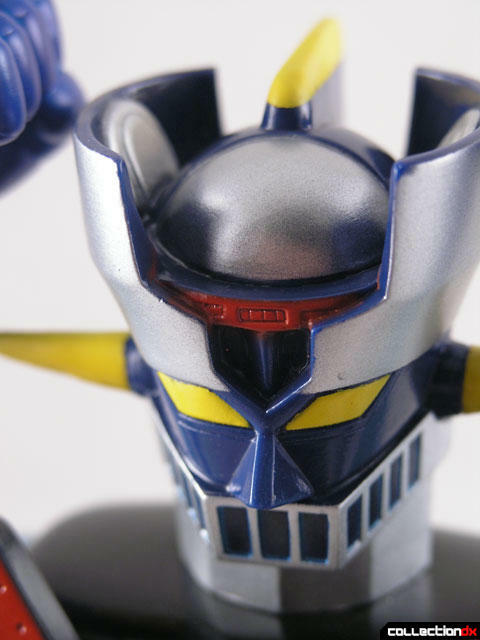 This Retro Sofubi Mazinger Z harkens back to the toys of yesteryear. 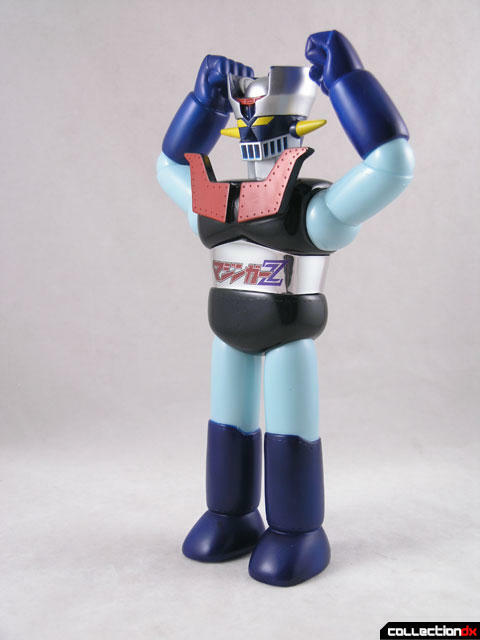 Back when Popy and Bullmark were pumping out vinyl toys for kids there was little regard for anime accuracy. As long as the toy kind of looked like the character, they were all good. These toys took a beating. They were taken to school, and had the kids’ names written on the feet in magic marker. They were buried in sandboxes. They were thrown around, beaten, abused, and discarded. They were toys. Now those kids are adults into their 40’s and they look back at those inaccurate toys with fondness. Even though they have not seen those toys in 30 years, they remember the tiny details. The markings carved on the feet. The rivets on the body. 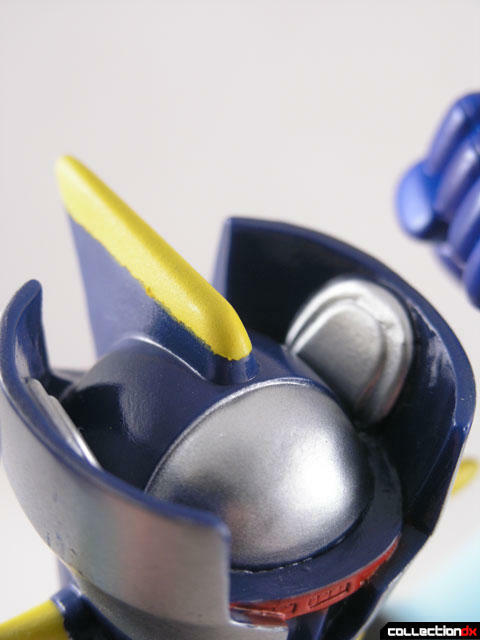 These are the details that evoke the nostalgia, and this toy hits it on every level. Even the packaging is nostalgic. 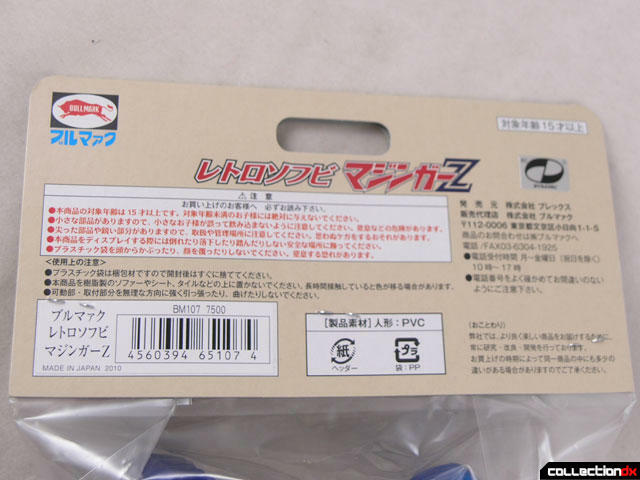 The toy comes shipped in a plain brown box, with only a white label on the corner depicting its contents. 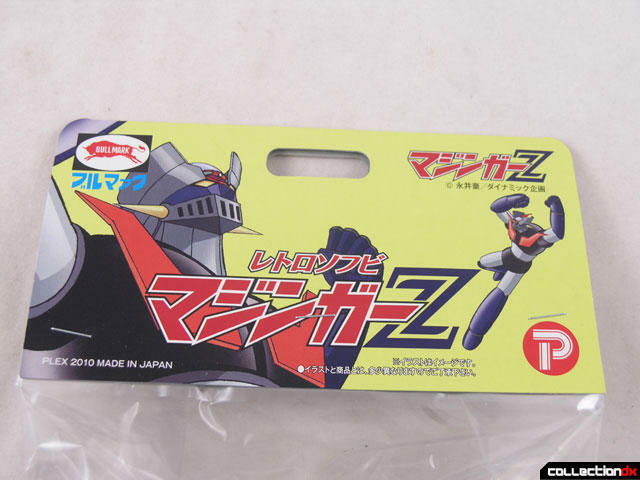 Inside is a bagged vinyl toy with header card, they way it was made years ago. Right away the card takes you back. There’s a Bullmark logo on one corner, and a Popy logo on the other. What? Aren’t both of those lines dead? Who made this thing anyway? 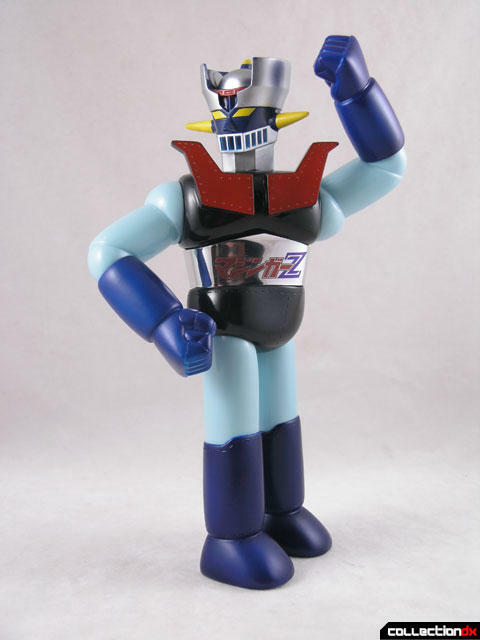 Turns out this thing is made by PLEX, Bandai’s design house. 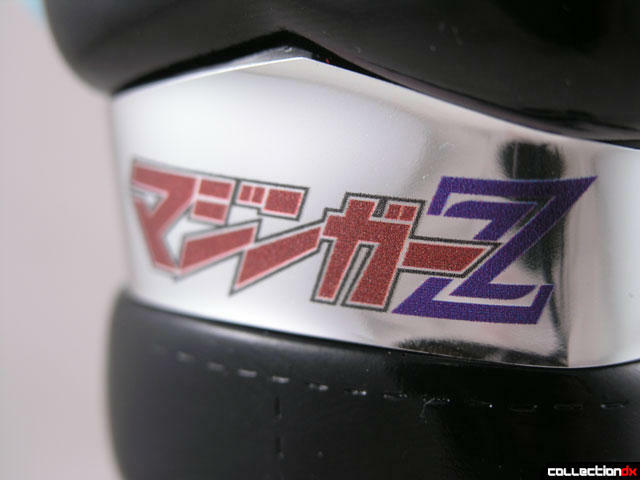 Why this is branded with Bullmark and Popy is a mystery to me, but I know that Bandai has resurrected the Popy brand, and I believe they have the rights to the Bullmark name and logo. Who can say for sure? All that matters is that this thing is awesome. I’ll admit though, that it’s only awesome to a certain kind of collector. If you have an appreciation of the old Popy and Bullmark hero vinyl toys, you will really like this. 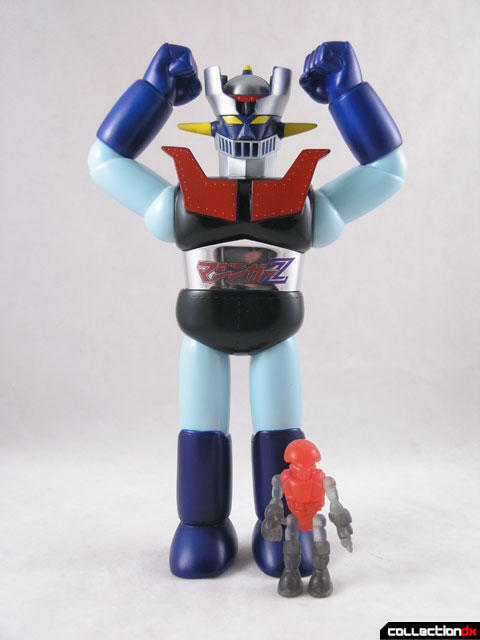 At first I was put off by the heroic pose, with Mazinger’s fists in the air, but that’s sort of a nod to older vinyl toys as well, who were often in that pose, albeit in smaller versions. I’ve grown to like it a lot. 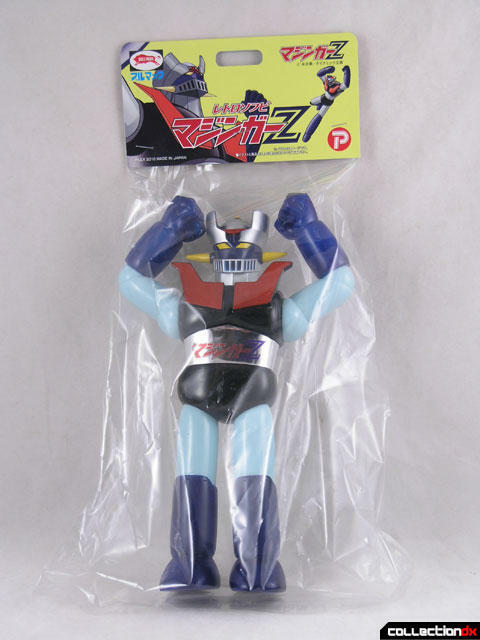 The entire toy is made out of a thick, soft vinyl. The vinyl is softer than what would have been used on a vintage toy, but maybe it will get harder with age? The sculpt has that old-school vintage funk. 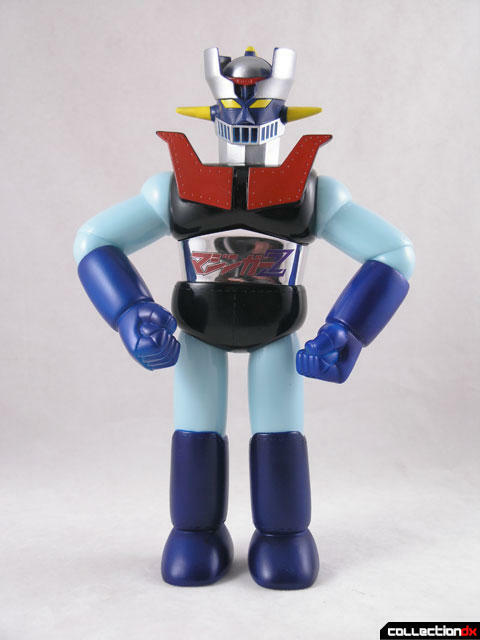 The head is a cartoonish representation of Mazinga Z, and to me similar to the first Jumbo Machinder head. 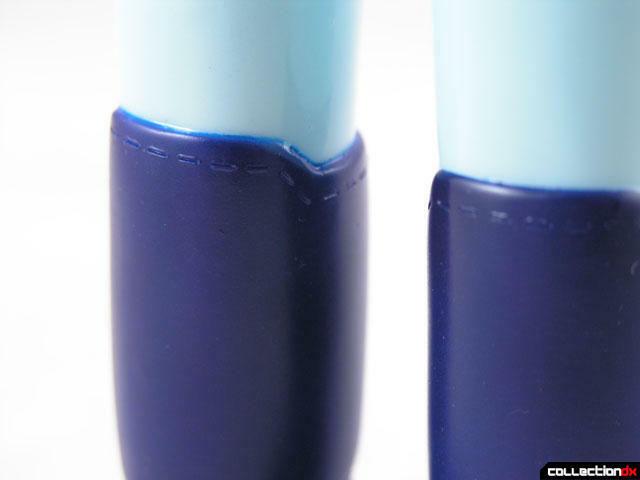 Paint detail is good, but not great, but I think this is again a nod to the mass-produced cheap vinyl of the past. Too good and it wouldn’t feel right, but with some small overspray it has the same feel as an old toy. What really sold me are the rivet holes. 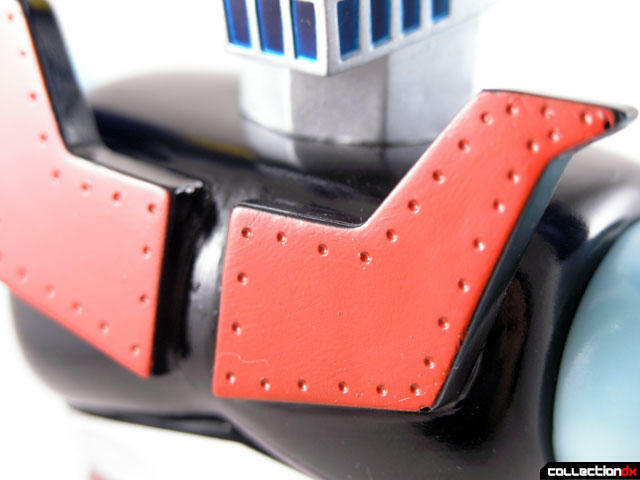 While never depicted this way in any anime or manga, for some reason early vinyls had rivet marks along the edge of parts. This gave each part a mechanical look. As time went on the rivet marks gave way to more realistic sculpts. The inclusion of rivet marks really cements this toy to a certain time period. Another cool vintage touch is the waist sticker. 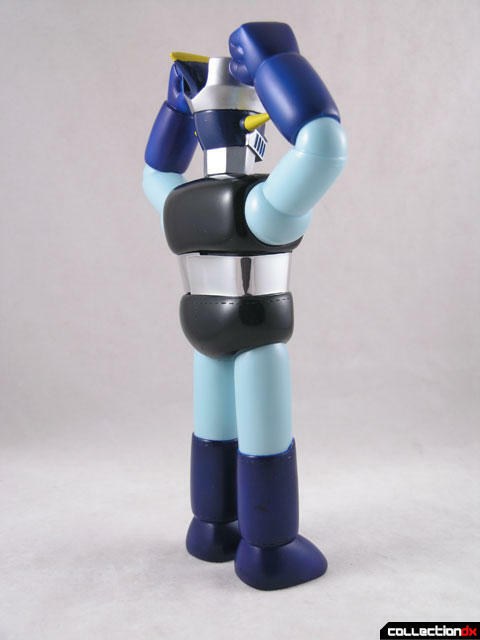 In the 70s, it seemed like every robot toy had a chrome waist sticker with the character name on it. This was more common on diecast and Jumbo Machinders than standard vinyls, but it works here. The sticker is shiny chrome and made out of some kind of vinyl. For authenticity I would have preferred a paper or foil sticker, but its fine as it is. Articulation is a bit better than your standard vinyl. 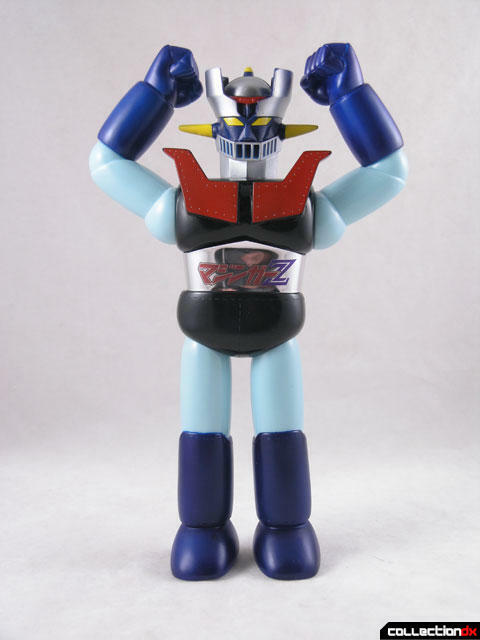 The head turns, the shoulders and elbows swivel, the waist turns and the legs swivel. Granted, you can’t do much, but there’s more points of articulation here than typically found on vintage vinyl. 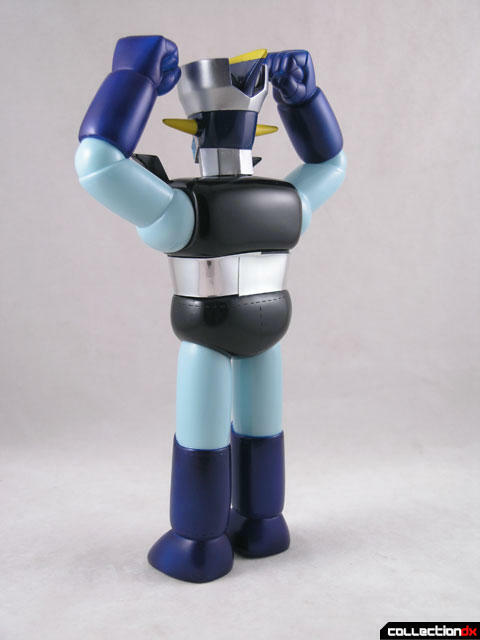 If you love old-school robots, Bullmark vinyl, or just toys that hearken back to the Showa-era, this thing is for you. It’s really fantastic. LOVE. I wish stuff like this was on US shelves.